We are pleased to offer private riding lessons for those individuals who are interested in getting to know horses for the first time, or who would like to deepen their relationship with their own horse. With an emphasis on gentle feel communication and natural horsemanship, we strive to create a connection between the horse and human, while focusing on horsemanship skills and developing confidence for each rider. Our Instructor, Brittany Hersom, has a BS in Social Welfare and enjoys working with participants of many ages and abilities. Her passion is for working with horses and young children learning to ride. 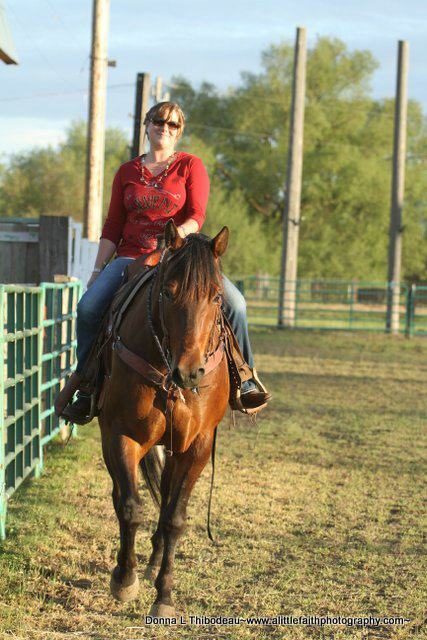 Brittany has started many young horses, and attended clinics in Natural Horsemanship, Ferrier work, and Reining. She welcomes riders of all ages for sessions scheduled at your convenience. $45 per lesson, lessons are typically up to one hour but will be shortened depending on the clients needs. To schedule a lesson, please contact Brittany.